Just about everything that could go wrong happened to the Hayabusa mission, yet it still made it back to Earth while carefully protecting 1,500 precious samples from asteroid Itokawa’s surface. The Japan Aerospace Exploration Agency launched the Hayabusa on May 9, 2003. It landed on the asteroid’s surface on November 25 and 27, 2005, and returned to Earth on June 13, 2010. It met all scientific objectives for the mission. But the true story is in the details of just how many ways the mission could go wrong without outright failing. The spacecraft was originally intended to launch in July 2002 and target the asteroid 4660 Nereus or (10302) 1989 ML. Instead, a rocket failure delayed the launch and required the selection of a new target: asteroid 25143 Itokawa, a lopsided cylinder—540 meters by 270 meters by 210 meters across—named for Japanese rocket pioneer Hideo Itokawa. The next hiccup was the payload. Hayabusa was originally intended to carry a small Muses-CN rover created by NASA, but it was cut from the budget. Instead, it carried a detachable minilander Micro/Nano Experimental Robot Vehicle for Asteroid, or MINERVA. It was designed to use an internal flywheel to hop along the asteroid’s surface, sending photographs back to Hayabusa. The problems didn’t stop once the spacecraft launched. A solar flare in 2003 damaged the spacecraft’s solar cells, reducing the efficiency of ion engines and delaying arrival at the near-Earth asteroid Itokawa from June to September of 2005. Since the departure window to get back to Earth was fixed, this squished timeline meant that only two of three landing attempts were even possible in the best circumstances. The problems continued once Hayabusa reached the asteroid. The spacecraft collected data on the asteroid’s shape, spin, topography, colour, composition, and density before two of its reaction wheels failed on July 31, 2005. But the true chaos came with the landing attempts. An error caused MINERVA to fail, with the little hopper deploying but never landing or returning. Thankfully, Hayabusa was also designed to land, firing tiny projectiles to kick up dust into its deployable sample containers. Except that of course nothing could possibly be that easy for the accident-prone robotic explorer. Once at the asteroid, closer examination revealed Woomera Desert landing site was too rocky, yet the spacecraft still managed to land at the Muses Sea site. Sort of. The original “rehearsal” landing failed, setting the spacecraft into safe mode and a stabilizing spin. The first actual landing attempt was a cascade of errors—an obstacle triggered an abort attempt, but it was too close and instead descended in safe mode without triggering a sampling attempt. The sample horn was still sealed in the hope dust kicked up from the spacecraft was accidentally collected. Another attempt was made two days later, but a leak in the thruster system threw the spacecraft into safe mode again, again preventing firing of the tiny projectiles designed to trigger a spray of debris into the deployable sampling horn. Between the two landing attempts, the spacecraft spent about 30 minutes on the surface with no guarantee it collected a single particle of asteroid-dust. Problems with frozen pipes, leaking fuel, and communications glitches caused even more consternation as the spacecraft attempted to depart the asteroid. By the time the return capsule was headed back to Earth, only 2 of 4 ion engines and 7 of 11 batteries were working; another ion engine automatically shut down partway through the journey home. By reentry, the reaction control system was no longer functional. 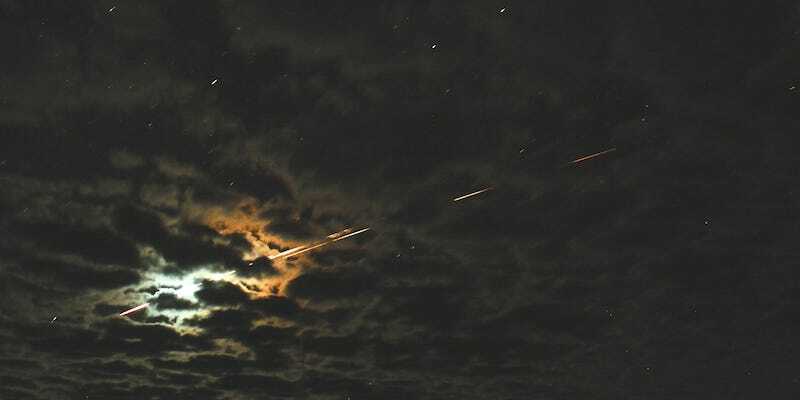 The crippled spacecraft broke up during reentry, incinerating in a fireball as the samples drifted down to the Woomera outback of South Australia in a heat-shielded capsule. Finally back on Earth, the samples were packed into double-plastic bags of pure nitrogen gas to reduce contamination, and loaded into a cargo container with air suspension to avoid shocks over 1.5 g. The soil at the landing site was collected for comparison to ensure the samples hadn’t been contaminated. It took another year to develop procedures to avoid contaminating the samples while studying them. After all the fuss, Hayabusa returned roughly 1,500 rocky particles from asteroid Itokawa. Almost all of them were under 10 micrometers in size, tiny particles of olivine, pyroxene, plagioclase, and iron sulphide. Hayabusa was the second spacecraft to land on an asteroid, following after NASA’s Near Earth Asteroid Rendezvous-Shoemaker spacecraft landing on the asteroid Eros on February 12, 2001. It was the first to ever collect a sample of an asteroid’s surface, and the first to ever attempt an asteroid sample return. Hayabusa2 launched in December 2014 en route to asteroid 162173, recently renamed from 1999 JU3 to 162173 Ryugu. The mission is set to land on the asteroid and once again perform sampling operations, this time with a small swarm of robots.